Loaded Touring Package! DVD, Leather, Power Doors & Hatch, Local One Owner, Perfect Autocheck! Loaded Touring Package! Local One Owner! Perfect Autocheck! No Accidents! Factory DVD Entertainment System, Tan Leather Seats! Power Seat! Traction Control, Stow N Go Seating, Factory Back Up Camera! Front Wheel Drive, 4 Bucket & 1 Bench Seats, 6 Cyl. 3.6 Ltr, Sirius Radio, Stereo w/ CD, Radio Controls in the Steering Wheel, Dual Power Sliding Doors, Power Tailgate, Dual Heat & Air, 16'' Factory Aluminum Wheels, Traction Control, Dual Climate Control, Power Locks, Mirrors, Windows, Fog Lights, Dual Front Airbags, Remote Keyless Entry, Runs & Drives Great! 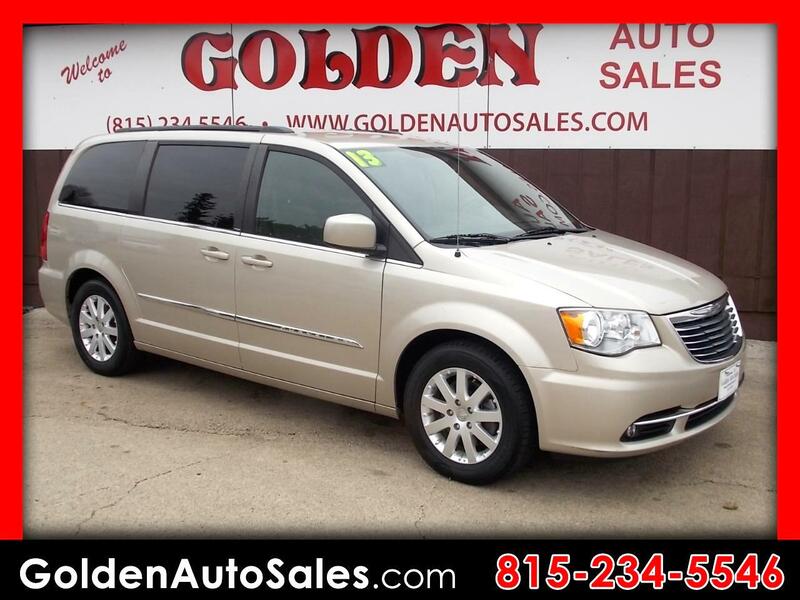 CHECK OUT OUR FULL INVENTORY WITH PICTURES, DESCRIPTIONS & PRICES ON OUR WEBSITE AT www.goldenautosales.com or call us at 1-815-234-5546.